My 2nd attempt at the 25 Essential Expressions Challenge this time with Tinuvielle. I did Amuletts before and I think I will do Clodin next. 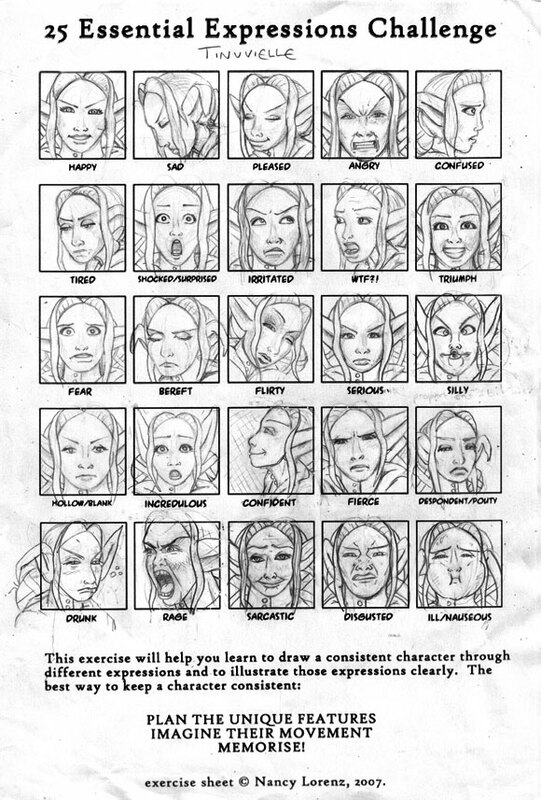 It is a good exercise and I think you all know how much I enjoy drawing expressions and putting personality into them. They really make the characters come to life in my opinion. I think this one turned out a lot better than the previous Expressions Challenge. I guess I’m improving. As always your constructive criticism would be much appreciated.